Many of us intuitively know that doing something nice or good for someone else can actually make us feel better. There’s nothing better then getting that warm feeling inside after helping someone without any expectation of anything in return. But did you also know that doing good for others can also improve your health? So with all these things going in our favour by doing good for others – feeling good, improving our health – maybe along with an apple a day we should also add do one thing nice each day! Not sure what to do? 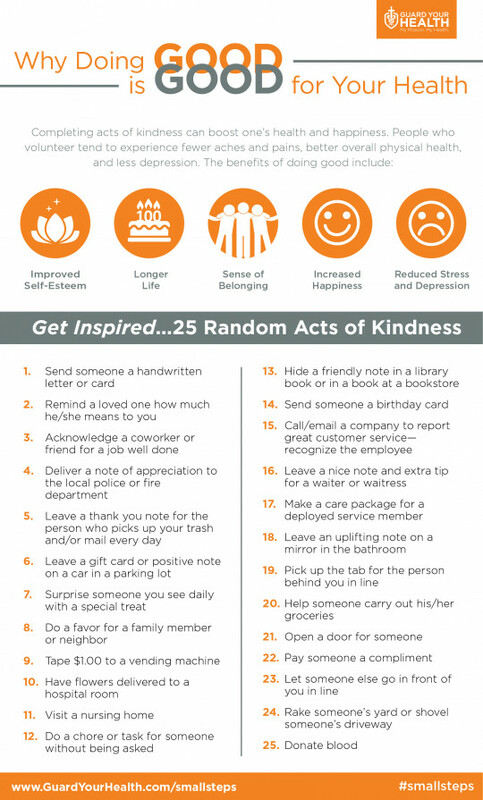 Here are 25 random acts of kindness suggestions to give you some inspiration…. Go On – Volunteer – Your Brain Will Thank You!